Google may be one of the biggest names in the tech industry, but it's a relative newcomer when it comes to hardware. First launched in 2015, and despite the numerous availability issues they were initially met with, Google's lineup of Pixel phones has found its way into the hearts of Android fans from all over the world. And why wouldn't it? It is the de-facto successor of the Nexus brand, and much like it, it offers the latest, greatest, and purest of Android with longer-than-usual update lifecycles. Then last year came the Pixel 2 and Pixel 2 XL, packing some of the best smartphone cameras ever, which further cemented the Pixel name as a force to be reckoned with in the mobile world. And thus, in 2018, a third generation of Pixel phones is knocking at the door. It may be a good few months away from store shelves, but we are already seeing the first wave of Pixel 3 leaks online, which will no doubt grow in number and snowball into an avalanche in the coming months, just like with the Pixel 2 and Pixel 2 XL last year. So, what do we know about the mysterious third generation of Pixel phones? Let's go through all the rumors and information available right now. And don't forget, we will be updating this rumor review throughout the year, as more details about Google's upcoming flagships come to light. Lucky number three! 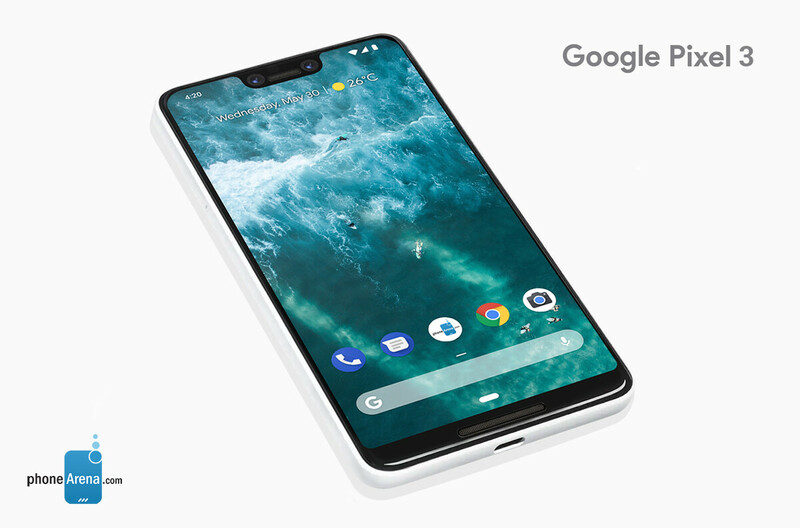 Google may be working on three phones this year, as suggested by a 2017 source code leak, which unveiled the code-names of three new devices – "crosshatch," "albacore" and "blueline." Of course, people were quick to pin the code-names on the third gen of Pixel phones, but keep in mind that we had a similar situation leading up to the release of the Pixel 2 and Pixel 2 XL last year, with leaks that were hyping up three devices, instead of the two we got. Is three too much, perhaps? It's too early to tell, but currently, there's no real reason to believe that Google will break away from its "two models per generation" release scheme. On a side note, however, the Mountain View tech giant is heavily rumored to be working on three Pixel-branded watches for 2018, so maybe, just maybe, there's a chance that we'll also see three Pixel phones this year as well? The Pixel 2 and Pixel 2 XL were made by HTC and LG respectively. Earlier this year, reports from Korean media pinned LG as the manufacturer of the Pixel 3 XL, though the company dismissed the rumors as "pure speculation" at the time. However, more recent reports have named the South Korean company as the maker of the OLED display of the Pixel 3 XL, but it seems like manufacturing will, indeed, be handled by someone else. And that someone is likely Foxconn – one of the largest contract manufacturers in the world, who's also responsible for building Apple iPhones. 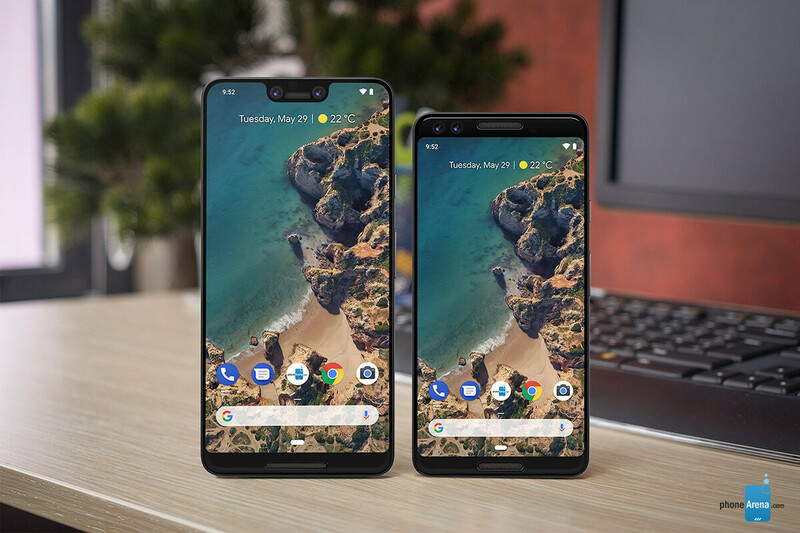 More specifically, according to recent reports, Pixel 3 and Pixel 3 XL production will be handled by Foxconn subsidiary FIH Mobile, which builds Nokia phones for HMD Global. Ah, yes, let's talk design. A photo showing what are allegedly screen protectors for the Google Pixel 3 and Pixel 3 XL surfaced in the Chinese blogosphere a couple of days ago, setting the Internet ablaze with speculation. And why? Well, because, according to the leak, the Pixel 3 XL will sport a very prominent-looking notch at the top of its display. Notches are a touchy and divisive subject these days, especially in the Android community, and many people were ready to grab their torches and pitchforks the moment they saw the photo. But let's just relax for the time being and comfort ourselves with the thought that this is still very early on and this leak may not be indicative of the final design of the Pixel 3 and Pixel 3 XL! But with that out of the way, it won't come as a surprise if one of the new Pixels has a notched display. After all, Android P has had support for various styles and sizes of notches since its initial developer beta. A sign of the times it seems, given how many smartphone makers are embracing the notch. But what's even worse than the dreaded notch? Well, it's that chin at the bottom, of course! But wait, there's a front-firing speaker there! And there's a second one embedded in the notch, so not all is lost! As for the Pixel 3, if this leak is to be believed, it will look a lot like the Pixel 2 XL, only smaller. No notch, but somewhat beefy top and bottom bezels with front-facing stereo speakers. Pixel phones have always had strong camera game and we have no reason to believe that the Pixel 3 and Pixel 3 XL will be an exception. What's more interesting, they might have dual front-facing cameras! Google has thus far very stubbornly shunned away from the dual-cam trend, but if the aforementioned screen protector leak is real, the Pixel 3 and Pixel 3 XL may break the trend with a pair of selfie shooters each. And if this really turns out to be true, well, you know there'd be another pair around the back as well! On the software side of things, we are expecting Google Lens to be baked right into the stock camera app and usable in real time with a single tap. 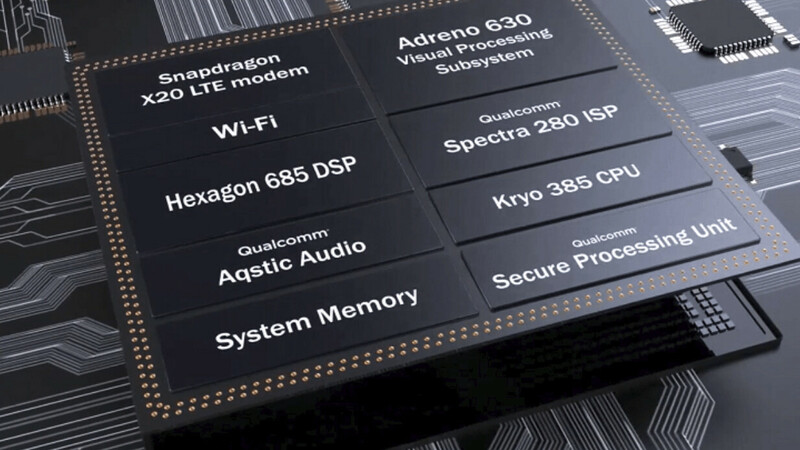 Knowing Google's approach to Pixel phones, we fully expect to see all third-gen models rocking the Snapdragon 845. As far as RAM and internal storage go, we have no leads to go off of right now, but seeing as how the Pixel 2 and Pixel 2 XL come with 4GB of RAM paired with either 64GB or 128GB of storage, we are expecting no less from the Pixel 3 and Pixel 3 XL. Though, in all fairness, everyone's got their fingers crossed for 6 (or more) gigs of RAM in the third-gen Pixels. 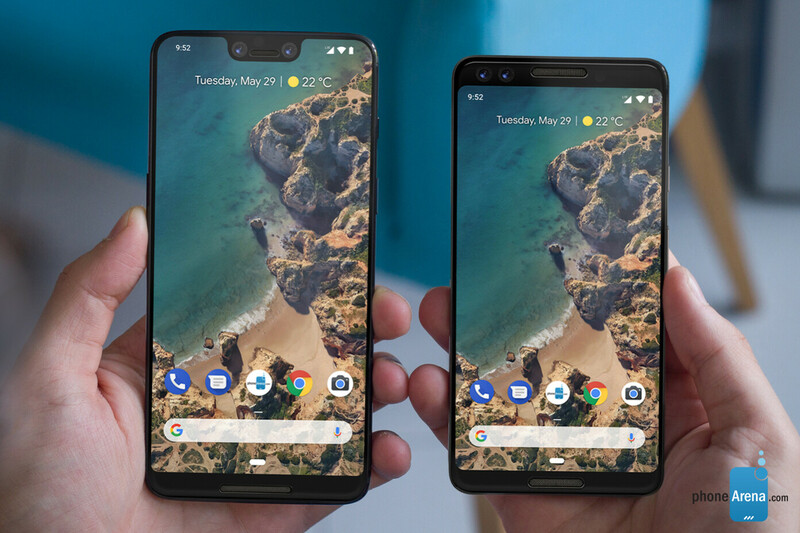 Google has maintained similar pricing between the first and second generations of Pixel phones, so we are expecting the third generation models to carry a similar price tag to the Pixel 2 and 2 XL. As for the release date, the original Pixels were launched on October 20, 2016, while the second gen was released on October 19, 2017. Following this pattern, October 2018 is a very good guess for a possible release window of the Pixel 3 and Pixel 3 XL. Stay tuned for more updates on the Google Pixel 3 and Pixel 3 XL, as more information about the upcoming flagships becomes available! Hate the notch. Worst thing ever, right after no headphone jack. I don't mind having a bezel around the phone. The notch doesn't add anything to the phone, just wasted space in my opinion especially since you can hide it. Just don't include the notch, and leave it as a bezel to begin with. No, you can't have clock and battery status on bezel. With notch you can have those. I agree. That chin is ridiculous in this day and age on phone design. I hate the bottom facing speaker on my s8 and miss the dual speakers from my m8. Honestly, if there's a chin with purpose then it is fine with me. I really want them to bring back the metal / glass combo rear. Just make it a bit more shiny, reflective, and liquid-y looking. Price is pixel 3 xl 950$ and pixel 3 750 to 800$. I'm willing to acclimate myself to a notch. But want the camera to not lose ground & also need the battery to be 3500mAh or larger for the XL. I don’t see a reason to hate a notch on Android phones, as long as you have an option to hide it. I'm indifferent about notches, but the smaller one looks better. Finally not an iPhone look alike. If Google uses the notch just for notification icons and makes it black, then fine...that could work. But it better not use it for displaying full screen events. Man, that regular Pixel looks exactly like I wanted it. Yes of course I want notchless, bezelless phone but it obviously wasn't going to happen this time around. I just hope they go above 1080p for the display.